Enjoy the charm of Italy in your own home! The gentle swirls of ceramic and soft cobalt blue will remind you of the beautiful Amalfi Coast. 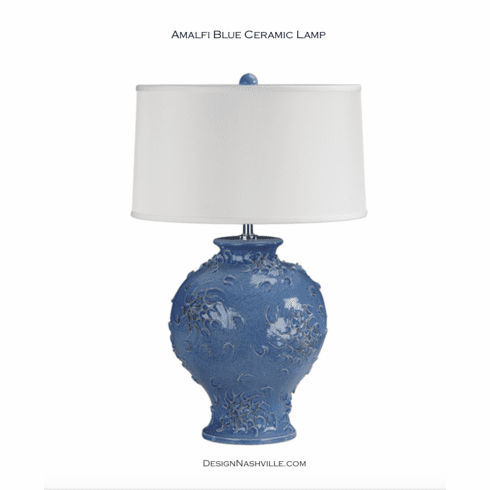 Handmade blue ceramic lamp with polished nickel hardware and round hardback fabric shade, 18″ x 28″ h. Shade size: 17″ top, 18″ bottom, 10″ slant height. Handmade in Italy.